OBJECTIVE: We sought to prospectively validate the use of Gestational sac (GS), yolk sac (YS) diameter, crown-rump length (CRL), and fetal heart rate (FHR) measurements to identify pregnancies destined to miscarry (SAB) during the first trimester of pregnancy. DESIGN: Prospective cohort study. Written consent was obtained from the patients. MATERIALS AND METHODS: Gestational sac (GS) and YS diameter, crown-rump length (CRL), and embryonal heart rate (HR) measurements were obtained with 2-D ultrasound in singleton and twin pregnancies followed from 5 through 11 weeks. 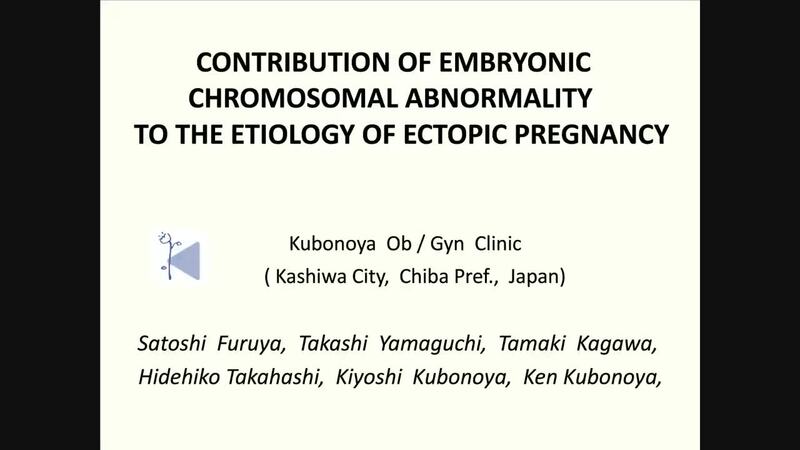 Patients with biochemical pregnancies and blighted ovum were excluded from our analyses. Univariate and multivariate models for binary outcome were used to test the associations and predict the time when measurements provide significant indication of SAB. RESULTS: 193 patients were included, 42 with twins (3 of which were monochorionic and 39 dichorionic), 2 with triplets (monochorionic twins plus a singleton) and 149 with singleton pregnancies (239 total fetuses). 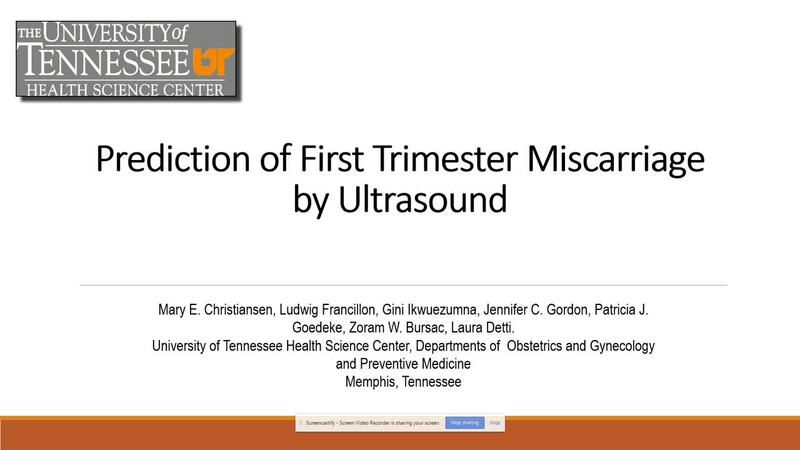 Most patients had weekly ultrasounds from 5 to 11 weeks’ gestation, for an average of 4 scans per patient. There was no difference in the parameters’ dimensions in singleton versus multiple pregnancies, except for GS, which was smaller in diachorionic pregnancies. We built nomograms with the changes of the parameters evaluated throughout the first trimester of normal pregnancy, as well as in miscarriages. In week 6, larger GS (OR=0.03; 95%CI 0.01-0.20; p=0.0003) was associated with lower odds of SAB while in contrast larger YS (OR=4.37; 95%CI 1.33-14.32; p=0.0149) was associated with increased odds of SAB. There was no association between SAB and maternal age, BMI, or placental location. CONCLUSIONS: After 6 weeks’ gestation, pregnancies that will end in SAB may be predicted by the measures of YS and GS. In addition, these identify SAB at least 7 days prior to occurrence. The other parameters also became abnormal prior to a SAB, but at a later time in pregnancy and closer to the event. The ability to identify abnormal parameters in early pregnancy would allow a more precise and cost-effective pregnancy follow-up and patient counseling.